- Mine and harvest resources to craft products and goods. 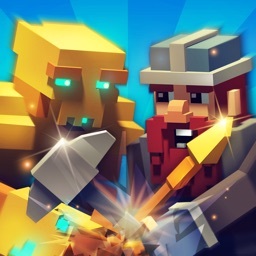 - Build anything from basic materials to legendary items. - Automatically sell your goods and upgrade your crafting units. 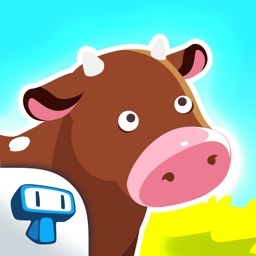 - Unlock over 500 achievements and ascend 100 levels. 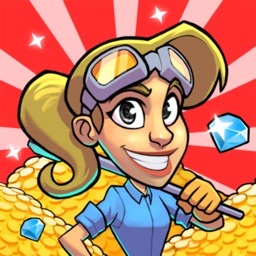 - Collect new blueprints to unlock them in your workshop. 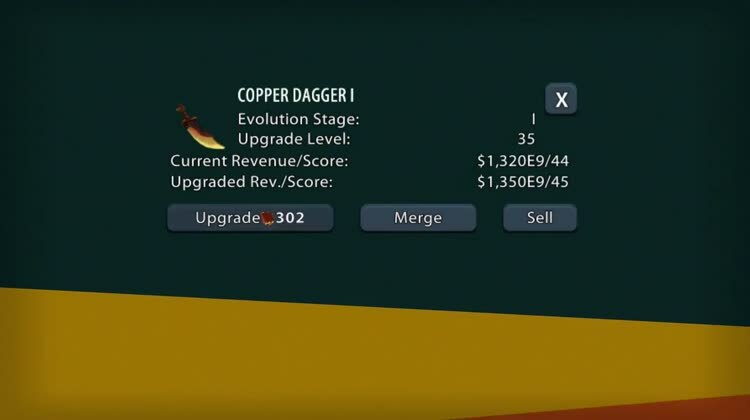 - Upgrade and evolve blueprints! Increase your revenue to get set bonuses. - Invest in further upgrades, new products or research. 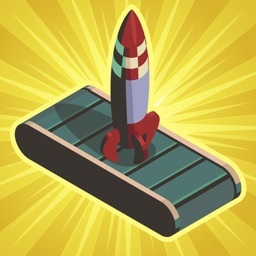 - Accomplish missions to get permanent prestige rewards. - Organize your workshop however you want. Just drag around the products. 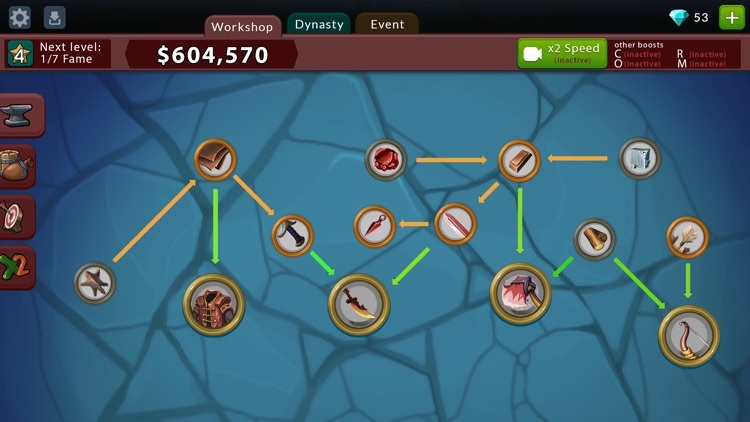 - Engage in regular event workshops with unique content and rewards. 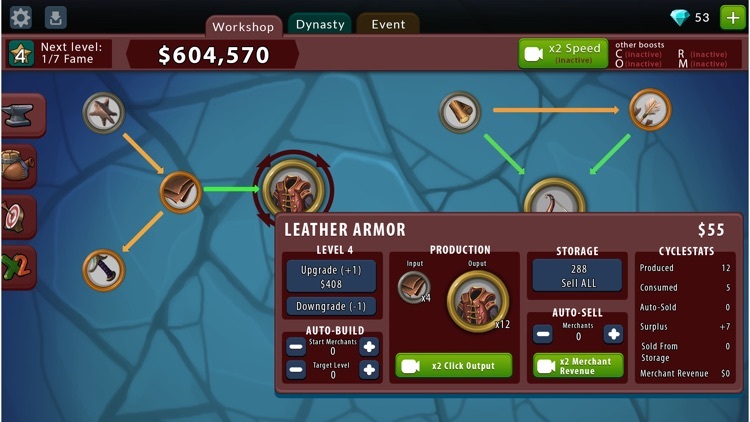 - Build a gigantic production line with over 100 items and counting. 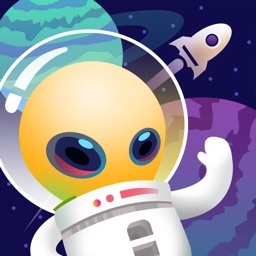 -Active: Tap your products to speed up crafting. -Passive: Let the game run while it automatically earns money and invests the profits. -Closed: Crafting continues while the app is closed. Just give new orders from time to time. -Offline: Most features work without internet connection. Do you like idle games, management games or incremental games, but most of them are too shallow for you? Then try Crafting Idle Clicker - one of the best crafting games out there! 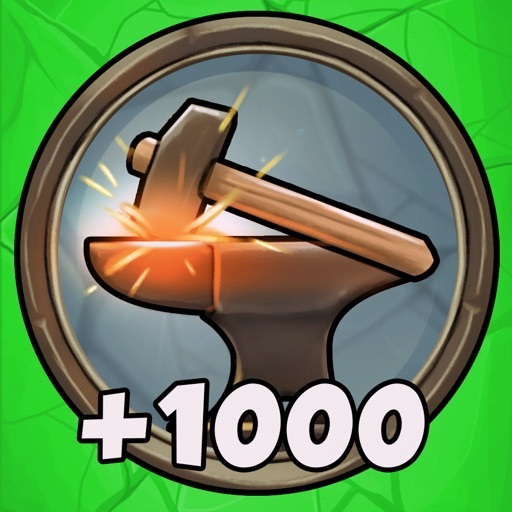 Over one million players enjoyed Crafting Idle Clicker already. The game is still updated regularly with new features and content. Help us making this the best idle clicker game on mobile. Feel free to send any feedback to [email protected]!